There was a blog called the Coffee Time Romance and more blog. It's a frilly pink romance blog. They gave me a five-star review. The Otherwhere Gazette called it a "Gripping Read." Mr. Finn delivers one of, if not the most unique and plausible explanations of the vampire mythos that I have ever read. The plot is interesting and engaging, with more twists and turns than the New York City neighborhoods and trains that the tale winds through. This is not a story where you can read a quarter of the way in and figure out how it will play out, which can happen all too often in urban fantasy. The main characters are both well developed and believable and the budding relationship works despite the age difference, because they are emotionally about the same age. in fact, this books works both as urban fantasy and Young Adult without insulting an older audience. I don't know about you, but that sounds badass to me. Let's go next to the review on The Catholic Geeks. No, the review is not a friend of mine, mostly because she's in Texas and I don't know her that well. So you have a Catholic version of a good vampire. Combine that with the Catholic version of Monster Hunter International, and you get Honor at Stake. It’s equal parts monster-killing action flick, clean romance, and character study, with some amazing humor thrown in for good measure. At some points, I was having trouble keeping myself from laughing out loud in the office. And who can forget the guest Puppy, Dawn Witzke -- who, believe it or not, wrote her parody when she was a neutral. 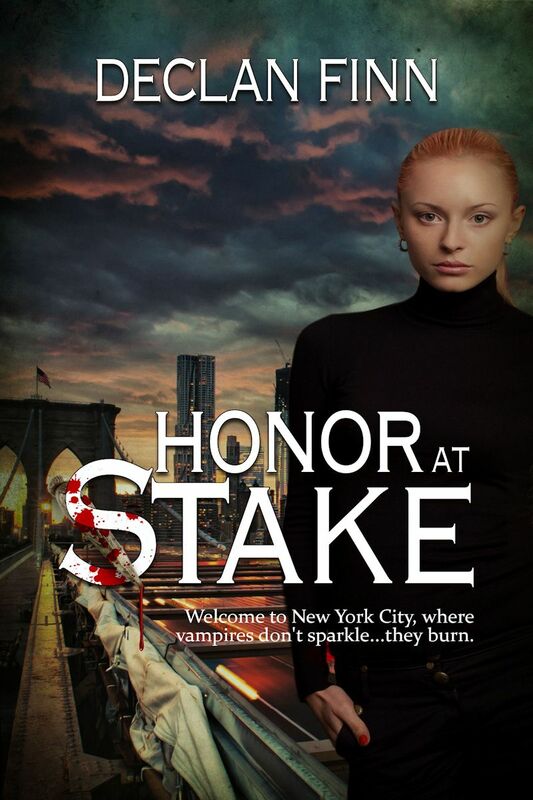 Dawn did a review of Honor at Stake, then an interview. I've excerpted her before, but the short version? There are many many scenes throughout the book that I like, but I don’t want to give away the whole book. These are only five of the 19 reviews on Amazon. You might want to check them out, then buy a few copies for Christmas. Or Hannukah. Or a few birthdays. Something to wash down that Jim Butcher novel.